Event Poetry and Prose: Poetry, fiction, creative-nonfiction. Stories are well written, enjoyable, and some – rather quirky. The Feathertale Review: If humor is your thing, this one is for you. Some stories are funnier than others, some I didn’t get at all, but overall a good laugh. 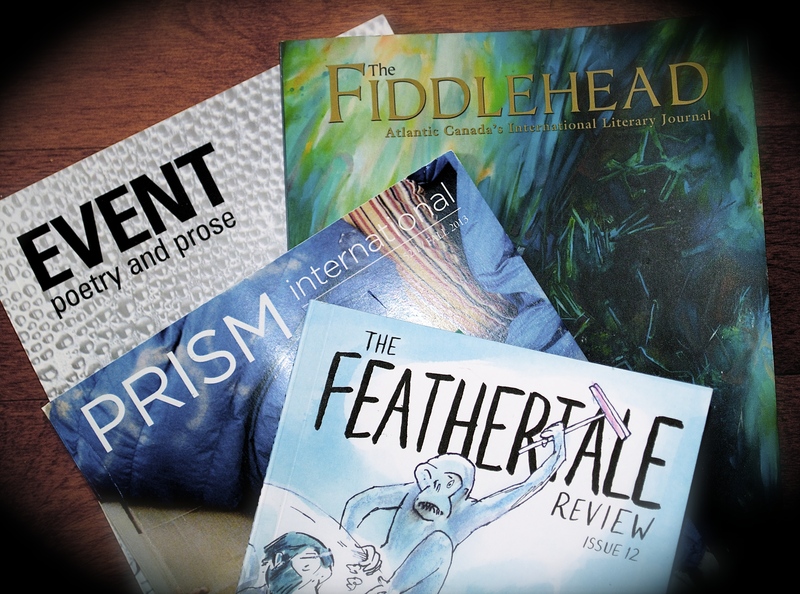 The Fiddlehead: A good mix of poetry and fiction – the writing is superb. Prism International: A real gem of fiction, non-fiction and poetry. A good mix of edgy, thought-provoking and entertaining. Enjoyed every bit of it. Hey, I know the list is short, but then again, so are the stories. Help me out – what short story magazine (print or online) do you think I should I read and add to the list?